The most important thing to remember when hiding your security cameras is to make sure that the DVR can clearly capture and record faces, so that the person can later be identified. There is no use in getting a nanny cam with a 1080p HD lens if it can't see what's going on. Here are three tips that keep this in mind while successfully cloaking your new set of surveillance eyes and ears. Examples: tissue box, planters, stuffed animals, fake rock, etc. Whether you DIY or purchase these ready to use, concealing containers are everyday objects that have been transformed to covertly house your cameras. All it takes is a new pinhole or placing a cover over the cameras to cleverly hide them in plain sight. If making something or buying extra accessories isn't your cup of tea, you could look into purchasing a camera system that already looks like an everyday object but has a built-in camera. A wide range of products in different price points are available, such as alarm/wall clocks, smoke detectors, pet treat dispensers, pen tips, insulated coffee mugs, and even digital photo frames. What's great about these objects is that you can scatter them throughout the house and no one would be the wiser. My personal recommendation? The smoke detector spy camera. It starts recording the second it detects movement with its sensors, and it gives a great aerial view of the entire room. Examples: colorful silicone skins, novelty cases, etc. Much like the brightly colored silicone phone cases that are so popular these days, silicon skins are easy to install and remove. They're lightweight, easy to slip on or off, and most of them come in a variety of inconspicuous colors (tan, brown, beige, gray, etc.). The cases, however, tend to be brighter in color and shape (sunflowers or children's characters), which make them better suited for a playroom. My personal favorite is the sunflower case because I am a sucker for packaging. They're fun to look at and make the cameras look a lot less intimidating. Just as the stripes on a tiger will help it to blend with the shadows, placing your spy camera in a well-thought-out place will help it blend into the background and make it less conspicuous. Among a collection of knick-knacks on your armoire? It disappears. Tucked under a nook? No one ever looks up these days. Think no one is gonna check the leaves of your favorite fern? You're right; they won't. And if you really want to go 007, you can even get your cameras in a miniature size to make them even more discreet. Going covert op on your house may feel a little odd. But taking preventive measures is always recommended over taking follow-up measures after the fact, which always feels worse. And these days, setting up a surveillance system, hidden or otherwise, is as easy as downloading an app, literally. 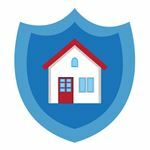 Most systems have an easy, in-app set-up, are wireless, and come with Wi-Fi capabilities, meaning you can remotely survey your home anywhere from your phone or computer. Want to take it up a notch? Look into a surveillance system that has 2-way speakers, so that you can broadcast your voice in your house or sound an alarm to ward off intruders. A house is not a home unless it feels safe for you and your loved ones. Properly monitoring your humble abode while you're away can give you the peace of mind and ease to make you feel, well, secure. Leave a comment about How to Hide a Security Camera? 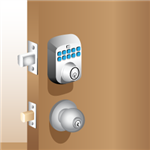 A home security system can protect you from thieves and intruders. But how much does it cost? And is it the right choice for your home? Share on Facebook "How to Hide a Security Camera"